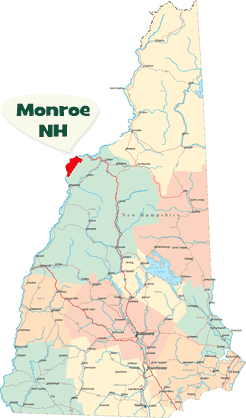 Monroe is a town in Grafton County, New Hampshire, United States. The population was 788 at the 2010 census. The town is located along a bend of the Connecticut River, across from Barnet, Vermont. This territory was first known as Hurd's Location or West Lyman. In 1769, James Hurd was granted five islands in the Connecticut River between Lyman and Barnet, Vermont by Governor John Wentworth. Descendents of James Hurd wanted to name the town after him when it was separated from Lyman in 1854, but lost out to the name Monroe. President James Monroe, for whom a mountain in the Presidential Range had been recently named, toured the region during his presidency. 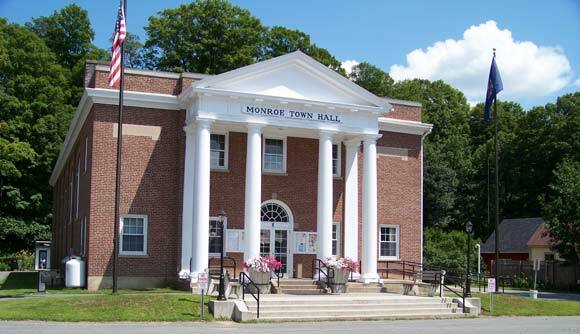 Monroe contains part of the Ammonoosuc Gold Fields, extensive mineral deposits that have never been successfully mined.